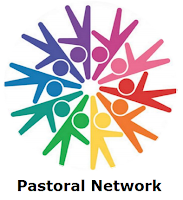 Pastoral Network - We have reviewed the function and structure of the existing pastoral groups, and the intention is that every worshipping member of the congregation should have a 'pastoral leader'. Their role is to look out for the well-being of the individuals on their list, and be a point of support and contact in addition to the ministers. Any issues can be referred to your pastoral leader (as well as direct to Mark or Martine), and they will liaise with the clergy over any concerns if needed. This is primarily a way of making sure that no one is missed as we continue to look out for one another. These pastoral groups are not the same as home groups. We are aware of the need for home groups which meet together for study, prayer, fellowship etc., and are looking to address this. A new pastoral list, showing leaders and the members of the congregation in their 'group', will be published shortly. Due to new members of the congregation, especially those with children, we are looking for an additional pastoral leader. If you might be interested in this role, or have any questions about the pastoral network, please do speak to Rev Martine or Rev Mark.